Moby Shares Video for "Falling Rain and Light"
Moby has shared the video for his song “Falling Rain and Light,” off his latest album Everything Was Beautiful, And Nothing Hurt, out now through Mute Records. Moby pulled the title of his album from Kurt Vonnegut’s seminal 1969 novel Slaughterhouse-Five. In the book, the mantra acts as a meditation on the transience of human life—when paired with the novel’s other famous line, “So it goes,” Vonnegut gets at the tragedy, and ultimate pointlessness, of the cycle of life and death. In Moby’s hands, that cycle is tinged with utopian possibility. The video for “Falling Rain and Light” is subtitled “After Humans,” and the footage focuses on decaying signs of humanity: Rotting mega-structures and abandoned cities float by in striking black-and-white while Moby’s signature glitch-tronics soar and crash in the background. 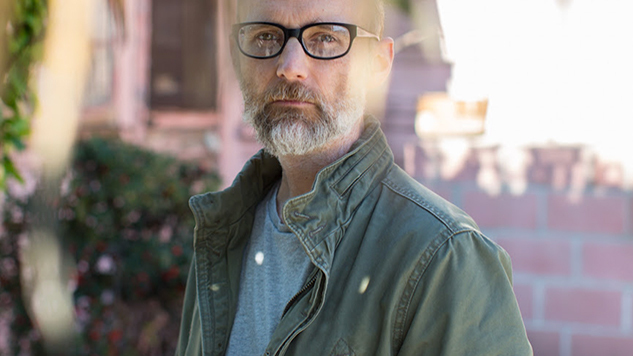 “The video concept is simple; a world after people,” Moby said in a statement. “It’s not that I don’t like people, but it seems like we might not be around for too much longer, and sometimes that seems like it might not be such a bad thing.” The video for “Falling Rain” gives visual life to that Vonnegut line that inspired Moby so. In a world after humans, everything is beautiful, even the signs that we were here. And, it’s true, nothing hurts. Watch the video for “Falling Rain and Light” below, and check out a Moby performance from the Paste archives further down.